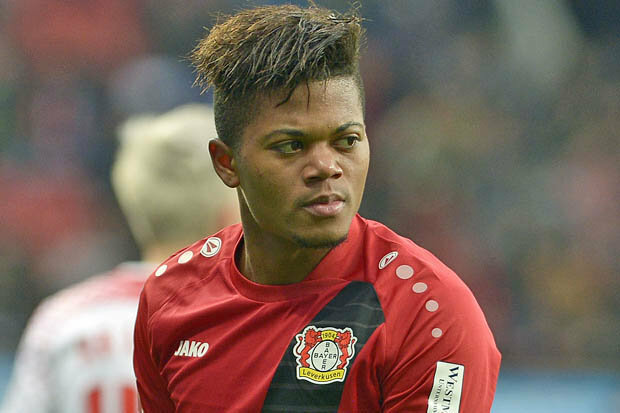 Chelsea could win the race to sign Bayer Leverkusen winger Leon Bailey, despite interest from other top Premier League clubs with the likes of Liverpool and Arsenal. According to a report via TeamTalk, the £53.4m-rated attacker [€60m] is ready to push for a move to Chelsea with the German club reportedly ready to do business this January. However, there have been suggestions that Bailey is worth £55m, although it remains to be seen whether interested suitors would be able to haggle on the asking price. Arsenal have been looking to add more options out wide since the likes of Alexis Sanchez, Alex Oxlade-Chamberlain and Theo Walcott have left over the past 12 months. Liverpool, meanwhile, do not appear to be lacking quality on the wings with Mohamed Salah bagging more plaudits and has netted two Premier League goals from his first four games. Last month, Bailey revealed the Blues and Liverpool had made enquiries about him. He said: “There’s concrete interest. “What I can say is that my full focus is on developing myself as a young player, and that’s what I’ll focus on. Bailey scored 12 goals and provided six assists as Leverkusen finished fifth in the Bundesliga last season.